Different states have different rules and regulations. 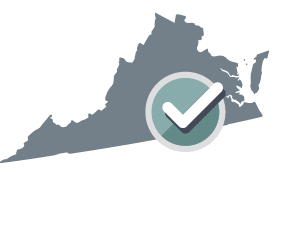 Your Lease Application (Commercial) will be customized for Virginia. All monetary values are expressed in US Dollars. Tenant's leased area: __________ square feet. Anticipated Possession Date: April 19, 2019. The term of the tenancy will be: until the 19th day of April, 2019. The base rent will be: $__________. Tenant's proportionate share of operating costs: 0%. The initial security deposit will be: $__________. No advance rent will be required. List industry references from which you make purchases through credit accounts. I certify that the information provided is true, accurate and complete. I authorize the individual or organization to whom this application is submitted to investigate all bank, credit and trade references named in this application, and to obtain information about the credit status of the applicant in order to assess the applicant's suitability as a tenant/lessee. What is a Commercial Lease Application? A Commercial Lease Application is a form that landlords use to screen tenants prior to entering into a Commercial Lease Agreement with a business tenant. Much like a Rental Application for residential properties and tenants, a Commercial Lease Application acts as a first step in leasing property, potentially beginning a landlord-tenant relationship. The application is an objective way of evaluating commercial applicants to see if they are a fit for your property. Who needs a Commercial Lease Application? Any person who requires space to operate a business will likely need to fill out a Commercial Lease Application in order to lease commercial real estate. It's unlikely that a business owner in the market for commercial property will secure a space without going through some type of preliminary screening with the property manager or owner. The application process can include an application, a formal Offer to Lease letter, and potentially several interviews with the landlord. What can a landlord ask on a rental application? A landlord handling any type of property (i.e. commercial, residential, or mixed) has to remain objective when screening tenants to avoid the possibility of a discrimination suit. The best way to maneuver this is to use the same application process for every prospective tenant with the same questions for the same type of property. For example, a landlord's questionnaire for a tenant looking to lease retail space would be the same as any other business tenant looking to rent the same space, but that questionnaire might differ from the one they'd give to an applicant looking for an apartment or condo. Typically, a landlord will pursue a lease agreement with the first qualified tenant who meets the criteria of their application and whose business suits the property. For example, a clothing retailer with great credit leasing space in a shopping mall is a more appropriate tenant than a mechanic looking to open a collision repair shop in the same space. Keep in mind the criteria can be significantly more extensive for commercial applicants than for residential tenants because the application process can involve requesting formal Offer to Lease letters, conducting background and credit checks, reviewing references and business reports, conducting interviews, and even examining business plans or financial statements.